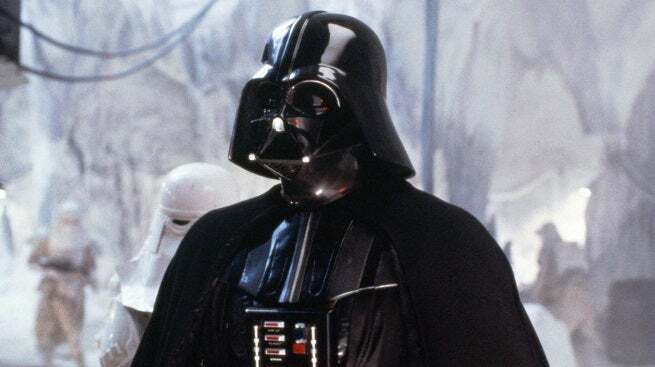 You can breathe a deep, assisted breath of relief: James Earl Jones will voice Darth Vader once again in Rogue One: A Star Wars Story. The character (and actor)'s return to live action comes after several appearances on the animated series Star Wars Rebels in the emotional second season from 2015-2016. Darth Vader was largely assumed, but only officially confirmed as appearing in Rogue One yesterday. The Sith Lord kind of has to be involved when you look at the storyline, the timeframe, and the mission involved: This movie takes place shortly before the events of the original Star Wars, now known as Episode IV - A New Hope, when the still-nascent Rebel Alliance sets out to steal the plans to the Death Star, the Empire's terrifying new weapon. It's the first of the new stand alone films, those that aren't being given an Episode number. The Episodic "saga" films will continue to focus on the story of the Skywalker family, while the stand alone films will cover other characters and eras from throughout Star Wars history. Jones was confirmed in an interview between Lucasfilm president Kathleen Kennedy and EW, where it was also revealed he'll only be in the film for a small amount of time. "He will be in the movie sparingly," Kennedy warned excited fans, "But at a key, strategic moment, he's going to loom large." It's somewhat natural - just as much as Vader needs to be present at some point in the film, he could also be considerably overpowering, especially when you don't have a Jedi to balance him out. Also - check out the brand new images from Rogue One: A Star Wars Story in the gallery below!